My recent trip of lectures in the US coincided with the publication of two books accusing religion in general and Christianity in particular of the harm they do in people’s lives. Richard Dawkins has been at it again, this time with The God Delusion. Sam Harris mocks Christians with his Letter to a Christian Nation. Both books, and I am sure others as well, suggest the harmful influence of religion in the lives of people. I am reminded of an incident in which I pointed that out to a government official who was startled by this admission. We were holding a teachers’ training session in small provincial capitol north of Kazan in the forest region of central Russia. Observers had been delegated by the officials of the town to check that we were not being missionaries or violate the separation of church and state by talking to the teachers about Christianity as a Foundation of Civil Society. My first lecture suggested that each child needs encouragement to find answers to the basic questions of life. Through education teachers lead a child out (lat. : educare) into an independent responsible life. The liberal arts have as their goal the liberation of a child from inherited or imposed views. Education, discussion, reading and inquiry help a person know what to think and believe about life and death, the individual and the group, about morality and power, about the real and the imaginary. Such are the questions posed by life in everyone’s mind, and various worldviews give differing answers to these. I pointed out how Marxism, Islam and African tribal religions answer these questions, and what kind of cultural realities flow from their view of things. Then I contrasted that with a Biblical view, not a religion, not certain forms of practice (such as candles, fragrances, standing or sitting, eyes open or closed), but just simply how the Christian, informed by the Bible, looks at these realities of human existence. Arriving later at the school where lunch was served for us I noticed a gentleman in a government – issue gray suit, sat down next to him and asked him through an interpreter whether he had enjoyed the morning session. He responded, saying that he did not like religion. At that point I reached for his hand, shook it forcefully and said that I did not either. We had something in common, we both recognize that religion is very harmful to people. I suggested he look at what religion had done to the Indian Sub-Continent or to Africa. I then added that Marxism had also become a religion with dismal results in his own country. The basic questions of life had not been answered in a way that gave reason, hope and dignity to human beings. He was of course taken aback. But then we talked a bit longer, and I was able to explain more about the truth of Christianity, relating it to the way things are, from the mannishness of people to the form of nature itself. God, religion, faith can indeed be a delusion, an imagined projection of wishful thinking. One can read events in light of one’s belief, rather than adjusting one’s belief to what is real, whether in Scripture or in history. The 19th century philosopher Feuerbach suggested that all religion is a projection. Man, he taught, has evolved a consciousness that makes him wish there were someone out there. So he projects a god in man’s image, whose existence lasts only as long as someone is willing to believe it. Such a god of course is the source of all kinds of human evil. In the name of that God each person can advocate anything he likes. It is real temptation to have one up on the neighbor, to appear justified in one’s views or actions, to use the name of one’s god for purposes of power, dominion and lifestyles. Christians are not free from that temptation. The second of the Ten Commandments prohibits the use the name of God, any god, to back up one’s own vanity and to prevent just that kind of claim of divine authority. Vanity is present in an empty claim of authority. But Feuerbach then, and Dawkins today, fail to explain how man supposedly evolved into something that requires the existence of a higher being. For they both fail to explain how Man is different from the animal, how freedom, thought and moral discernment arrive out of a closed system of biology, of cause and effect, out of instinct and natural behavior. Form has never been able to be the cause of freedom. Determinism does not result in indeterminacy. Yet it is in the freedom of the mind that people either bow to the creator of this universe intellectually and morally, or they invent deities, ideologies and explanations. That freedom of the mind has its origin not in natural selection, but in the creative act of a person God, who chose to make Man, male and female, in his image. Eternal matter does not produce personality. Only an eternal person can achieve that. The Biblical account of a specific creation of Man makes room for the kind of person Feuerbach can talk about, able to imagine gods. The God of the Bible precedes Man. God comes first, and Man has a need to know God, the Creator. If he refuses to acknowledge the God of the Bible he will invent his own gods to fill a vacuum. That is how religions start, and why, in contrast to this, Christianity and Judaism are not religions. Dawkins is right to point to the devastating effects of religions in people’s lives. The problem with this is only that he has made his view of things his own religion. And as such it is harmful to him, for it excludes any final basis for morals, including his complaint about the negative effects of religion. If everything in the life and mind of people is part of natural development it cannot be objected to. If it is objected to anyway, it is of no importance and does not obligate anyone, for it could not have come otherwise. Harris’s objections to Christianity stand on similarly shaky footing. For instance, his objection to a Biblical moral opposition to abortion argues that natural abortions happen more often than we can count. He says that “there is an obvious truth here that cries out for acknowledgment: If God exists, he is the most prolific abortionist of all.” Like many he sees any God intimately tied with events in nature. Unfortunately most people, including many Christians, are similarly fatalistic. But Christians should make a distinction between what is the will of God and what is happening in a fallen nature or by the hand of sinful people. The mere fact that something is happening, that people lie and die, that governments are corrupt, that justice is not always administered and that we all experience more and less than we deserve in any way is no indication that this is the will of God or that there is no God. The Bible does not describe a just world. All of life is to be judged by God’s word. That word tells us that with the Fall of Man something terrible has now become usual; something imbalanced is now normal. But we do not take our cue about what is to be or what we further from all events equally. Natural abortions, illness are an indication of a fallen world, not of God’s plan. Nature is to be exposed to culture, a refinement towards greater justice, beauty and goodness. The Biblical mandate for Man is subdue the earth and to have dominion. I find no mandate for Man to lie low and to accept what is. There is a place for humility before God, before greater wisdom, under the rule of just authorities, but not as a virtue in itself or as a form of submission to fate or circumstances. In an editorial A Modest Proposal for a Truce on Religion Nicholas D. Kristof writes in the New York Times on December 3, 2006, that he laments intolerant and insidious discrimination on the basis of belief, which is increasingly attacked with equal intolerance on the side of the Atheist Brigade, “contemptuous and even a bit fundamentalist”. Both religious and atheist believers have in the name of their cause done terrible things in history. Poor arguments, an erroneous view of Christianity and an urgency to proclaim their own atheistic religion are the marks of the views held by Dawkins and Harris. Perhaps their exposure has been to a false Christianity. When Paul had to correct even Peter about his views (in Galatians) we should not be surprised when we are made to rethink what we believe. Even Christians can hold views that make little sense or even contradict the Scriptural message, even when they cite certain favorite verses that seem to support their view of things. Perhaps Dawkins and Harris have an ax to grind and seek the autonomy of secular humanism. God’s existence and claims would be an annoyance in that case and his judgment to be avoided. However that would still leave them with the need to explain who Man is and why Christianity, and not just a religion, is dangerous. For without the existence of the God of the Bible all reality merely is the way it is, and that includes their inability to accept the “natural” phenomenon that most religious people have seemingly evolved into troubling presences. Only the existence of God would lend authority to any moral judgment Dawkins and Harris claim to express. Without Him one can only notice what is, not complain that it ought to be something other. Nature is amoral and does not judge. Only God can do that. Consequently we should calmly address the issues raised in those and other books with consideration of what is actually opposed. We should set the record straight and not feel threatened for God, truth and reality by those who complain about the behavior and the views of some of us. Perhaps at times we have given them offence to their mind and their emotions. But all that does not change the reality of a created, orderly universe, in which moral judgments are only possible if God exists. Without Him their complaint is nothing but that: a complaint of people unwilling to accept that when nature/history is the final reality they have not done and cannot do any better. For some years now I have observed a similar set of objections to Christianity, but this time from inside the church, or at least that grouping of people that claims to be the church. Christmas seems to be a favorite time for such “clarifications” of the Message. Jesus was a bon vivant, Magdalene was one of his mistresses, there is no resurrection, only an invitation of people to birth themselves anew in a more hopeful attitude. There is no afterlife, certainly not for individual people. There is, I am told, a cosmic flux, a permanent light, a collective consciousness, in which we will forgo our earthly struggles, loneliness and dissatisfaction when we go through death. What ho? These are the propositions of churchmen, too embarrassed about the certainties Christians and believing Jews have about God and Man, about history and significance, about individuality and faith. They propose an apology, not an apologetic. They tend to be embarrassed about the clarity of Biblical teaching in its factual and moral focus. They dislike the divisiveness of truth and falsehood, though in most areas of life, other than in relation to questions of taste and personality, it is precisely a concern for truth and morals, which helped a messy mankind limit the excesses of its evil practices. Now, at Christmas, all this is to be reconsidered. These apologists offer no offense, but also no balm, to people who worship at the shrine of an impersonal nature, who delight in sensuality at any price, who admire the serenity with which so many people around the world are invited to accept their fate, burry their complaining and starve their bodies. They don’t seem to realize that while Christians have done all kinds of evil only with the one personal-infinite God of the Bible is there a foundation for a human existence with dignity, a sharpened mind and the tools and purpose to combat evil. The great benefit, resulting from the fact that this God came in the flesh instead of remaining in the realm of ideas, hearts and minds of believers, is now seen as a handicap. Those who present this revised view take a similar stand to the Pharisees, who seeing Christ drive out demons, conclude that he must be the head of the demons. They prevent people from seeing the glory and wonder of God’s concern for us, his redemption for us. They market what people want to hear, that the Bible is not true to history and the real world, that any dependence on truth is a mistake. They want to unite all faiths like little rivulets into a common river of faith. They want to end up with all people on other paths on the same mountain. These are pretty images that do, however, not match reality. Not all weeds are herbs, not all liquids quench our thirst and not every chemical reaction furthers life. Reality, or nature, is far less tolerant and far more defined, precise and demanding. Our generation likes the image rather than the real thing, as Boorstin suggested already forty years ago. But it is in the real thing we live, make choices and expose ourselves to their consequences. The attraction of the image is sweet talk, which is cheap. Life, justice and society require more than talk. When the image is all there is, we face no need to bow before God morally and intellectually. When God and his Word, when the Jesus of the Bible is repainted in the colors of religion, the one critical platform is removed, from which social, personal and political evil could be judged. That leaves us with an invitation to slide anywhere we want to, away from sensibility in the direction of sensuality, from the one true and living God of Paul’s teaching (1st. Thessalonians 1:9,10) to many idols. These churchmen propose that now from embarrassment of their former riches, when Christ was their Lord and Savior, intellectually and morally. Rather than sharing these Biblical riches with others they now turn to a consensus of irrationality, religious notions and basically pagan practices. Should We Wear a Hair Shirt? 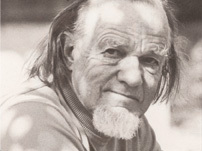 Many people knew that Francis Schaeffer did not have a proper office during all those years he worked in Switzerland. His bed was his desk. At the end of it he sat on the low rocking chair be had brought from his parents. Schaeffer’s correspondence lay on the coffee table. Notes of things to do were kept under a rock on the radiator. A carton gathered things to read later. Few people know that behind the curtain on the wall between two windows he kept what he called “my hair shirt”. Now, a hair shirt was the rough and itchy garment of animal fur, which monks wore at times to castigate themselves and to remind them of their unworthiness and to urge them to do penance. Schaeffer was a very intense man, analytical, passionate, curious, honestly pursuing questions, people and the flow of history under God. He believed and demonstrated that ideas have power, and what a man thinks will help shape his actions. For Francis Schaeffer human beings were most wonderful, capable of skill, love, faith and daring: truly made in the image of God, Man was the highest wonder, a little lower than the angels. Schaeffer was not optimistic about Man, but that did not lead him to fall into inertia, pessimism or despair. Man is capable of the most awful cruelty and the most amazing daring. History is a path towards discovery with gains from increasing knowledge, but also full of loss, painted in blood and filled with deceit. So he kept something like a hair shirt. This hair shirt was a reminder of the cruelty of human beings. It consisted of a sheet of cardboard on which various pictures and articles were stuck. He would look at it from time to time to be reminded of the terrible things people are capable of doing in the 20th century. He told me once that he needed that reminder lest he become too optimistic about the human race. I have that hair shirt in front of me. When I pulled it out the other week I was amazed about the selection of texts and pictures. The cruelty we see these days in Iraq, the poisoning of the former Russian spy in London, the large-scale harvesting and sale of organs from arrested members of the Falung Gong sect in China or stem cells from live babies in Ukraine: They all remind us that our tremendously unique, creative, compassionate and inventive human race is also capable of immense cruelty. Schaeffer had no doubt about God’s existence, the truth of Christianity and moral opposites in the real world. But he did not embrace the divine orchestration view of theology according to which all things and events follow God’s sovereign plan. This is not the best of all possible worlds (a view recently published by one prominent Christian author). Schaeffer frequently answered the question of God’s relationship to a broken world in this way: if God is the author of the present situation, if God willed today in all its complexity as it is, Schaeffer would have to agree with the 19th century French writer Beaudelaire, that God then is the devil. My book The Innocence of God will be published and available in September. On the cover will be one of the pictures from Schaeffer’s hair shirt. It is entitled “Sehnsucht…If Only” by an unknown artist. It pictures a person looking out from behind barbed wire into another place. His or her legs are thin, the clothes are what one gets to wear in a prison camp. Fog washes out all details beyond the fence. But “if only…” the world were not so cruel, if only we were free, if only man would be delivered from an evil world! If only….there were a God who is not the conductor, but the liberator from my current brokenness. Of course there is. The God of the Bible is at war against sin and death. This is an unfinished battle, we wait for the return of the risen Christ, and I look forward to the day when God’s will shall not only be done in heaven, but also on earth. That day has not yet come, according to the Scriptures. Schaeffer’s hair shirt had a number of photographs and news items from papers he read. He cut them out and posted them on the cardboard. Let me show them to you. One item tells of the thousands of Chinese refugees that were being sent back to Red China from Hong Kong. This predates the return of the British Colony to China. After the city was handed over to China its English practice of commerce has in fact spread to many coastal regions with growing benefit commercially, though human rights are still trodden down from an absence of genuine concern for individuals, their minds and souls, their privacy. Two pictures relate to the Hungarian Revolution fifty years ago, when Radio Free Europe and the Voice of America offered, but never delivered, help. In a brutal reversal Russian tanks crushed the human resistance. Ilon Toth, a beautiful girl standing up to the tanks and one of the leaders of that search for freedom, was hanged by the authorities on March 23, 1957. Some of you will remember her picture in Schaeffer’s How Shall We Then Live? film and video series, where the Age of Revolution section refers to Russia’s brutality in Poland, East Germany, Hungary and later in Czechoslovakia. There is a picture of many boys sitting in as many coal bins to break up large pieces of coal with a hammer into smaller bits for hours on end. I am reminded of the hundreds of Indians and Bengalis crushing bricks into pieces along a road to serve as surface chippings. Another picture shows a Ugandan with a cord around his neck waiting for his execution by hanging when Idi Amin went wild, drove out all Asians, confiscated their belongings and eliminated the opposition. It is a picture of so much cruelty, so little compassion, such acceptance of pain and death in traditional African societies and continuing under many current political entities. And there is a picture of young Jews during a roundup in the Warsaw Ghetto from 1943. The evil of the fascist ideology, based on the belief in the superiority of a race and the progressive notions of science and Darwinism, stands for the many ideologies of the 19th and 20th centuries. They all promised a better mankind through the elimination of those who stood in the way of achieving an ideal, i.e. perfection. It was the notion of scientific anti-Semitism that was particularly evil, just as scientific socialism was. It was based on the supposedly scientific study of different races after Voltaire, when the Bible speaks of only one human race, not many. As soon as one talks about ‘many or various races’ one opens the door to questions of superiority. Our current fascination with the mathematics of democratic elections can lead to similarly evil governments, as evidenced in more recent history. When the electorate is not acquainted with the need to take responsibility for more than just to cast a vote, democracies will produce legal, though often illegitimate governments. Finally there is a photo of a clochard, one of Paris’ homeless, sleeping on the banks of the Seine. His coat is a pillow; his shoes are by his face. Another clipping speaks of a 17 year-old youth who hung himself with bed sheets in his cell after writing “GoodBye Dad” using soap on the wall of his cell. He had been arrested with a history of a run-away. There is also the story of a 21 year-old divorced woman, whose father thought up a punishment “to wake up” his daughter Linda. She had spent the night after a dance with a man, who was already married. For a punishment the father told her to kill her dog. Father, mother and daughter went into the desert behind their house, Linda with he dog and the father with his. There he made the girl dig a shallow grave. Next, the father handed the daughter his .22- caliber revolver with seven rounds and left the hammer on an empty chamber. He told her just to pull the hammer back and pull the trigger.” As her mother held the dog, the daughter pointed the pistol at her pet. Then she moved the gun away. The mother thought she was stalling. The daughter then placed the gun at her right temple and fired. She killed herself rather then let her mongrel dog pay for her night with the Air Force Lieutenant. Schaeffer also marked the hair shirt with a few hand-written notes to remind him of other human horrors. The number of victims of Nazi gas chambers as well as those of Stalin’s work camps is found there. We also find the number of political prisoners under the last Czar in 1914. This is a very interesting list of causes of evil and horrors. He mentions the reality of sin first. This includes both the evil personal choices people make and the reality of a sinful world, broken, abnormal and full of damage after the fall of Adam and Eve. The former is a matter of personal guilt through a sinful choice. The latter is the realization that all creation now groans in its imperfection with the marks of death on it. This is not a matter of personal choice, but the significant consequence of previous sinful choices by other people, starting with Adam and Eve. He continues his list and spells out other areas of sin for us to recognize. First Schaeffer mentions totalitarianism on the right and on the left. He had witnessed several of these in his lifetime. Both are equally inhuman in their pursuit of an ideal society. Both Fascism and Communism are socialist, collective and exploitive. Both are carved out of the same intellectual wood that grew on the soil of Darwinism, scientific progress thinking and Nietzsche’s nihilism. Both set before us an ideal to be reached by force and at the expense of the real with its limited possibilities. As utopian efforts they impose their vision of perfection and crush all thoughtful objections. Schaeffer included persecuting religions in the list of sinners as well. Roman Catholicism at the time did not allow people to have or to read a Bible in large parts of the world. It dictated not only Biblical morality, but also all kind of ecclesiastical morality, from the payment for masses to redeem the soul of loved ones from purgatory to the number of children born to a family. Much has changed in Rome since Schaeffer’s death, for better and at times also for worse. Were Schaeffer alive today he might include African tribal religions or Islam. I remember the day I joined a relief and development work. Schaeffer told me then that hunger, injustice and exploitation of the poor would have been the next area of his concern and work. Here I could Biblical insights, thoughts and ideas to the improvement of people’s economic, social and political life. He encouraged me immensely, saying that I should take “the wings God has given” me deal with our obligations in that area of problems. In light of these words it is interesting now to see in Schaeffer’s hair shirt the reference to the sin of racial and economic oppression. It would be too easy to reduce our Christian responsibility in these areas to the application of law and market economics. For law and the market only facilitate human exchanges, they do not evaluate their morality. Laws, new rights, regulations, resolutions do not create a humane and just reality by themselves. Racial oppression is a common human tragedy. In time it preceded what we know as slavery in our countries. Here it is abolished. It continues in a number of societies today. Religious, racial, gender persecution express the sinful power to discriminate against people on the basis of custom, culture, egotism and humiliation. Economic oppression takes place where weakness, trickery and urgent need become part of the exchange in a well functioning mechanism. Supply and demand are mathematical units, not people trading goods and their life labor. The impossibility of establishing a price for anything in variable situations helps us turn to the market mechanism. But just as in democratic procedures, markets also require a morality of the participants. Both democracy and the market guarantee neither good government nor economic honesty. Laws for truth in advertising, proper accounting, legal protection of contracts and against insurance fraud point out the need for more. So does the distortion resulting from most ‘fair’ trade ideas, whereby prices and markets are artificially influenced. Moral/cultural change, affecting our practice of life, love, justice and compassion, is part of the continuing mandate from God to have dominion. Our sinfulness in the areas of racial and economic oppression as well as the sinfulness of humiliating economic, social and religious practices of our trading partners must also be subdued.